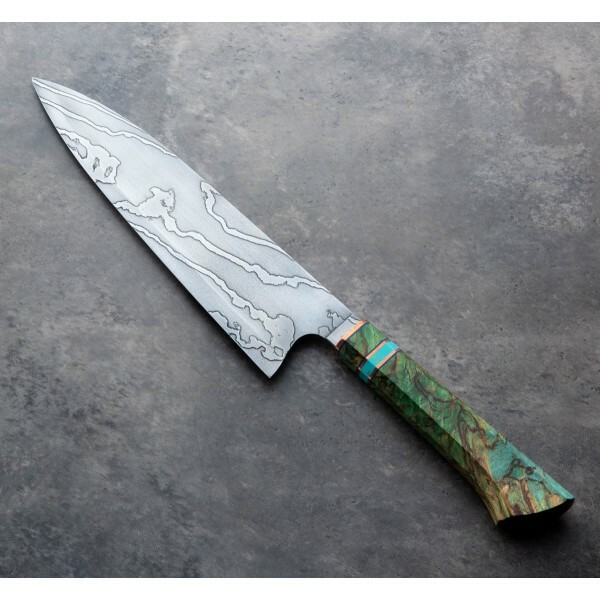 The handcrafted 240mm / 9.45" blade of this stunning chef knife by Isaiah Schroeder stands 63mm tall at the heel and features a superb S-grind, providing a beautifully balanced, thin and lightweight blade with excellent food release. The damascus is forged from W2 and 15N20 carbon steel with the blade’s distal taper thinning steadily from 2.5mm above the heel to just 0.9mm an inch from the tip, resulting in a perfectly heat-treated edge with just enough flexibly to create a very versatile tool. 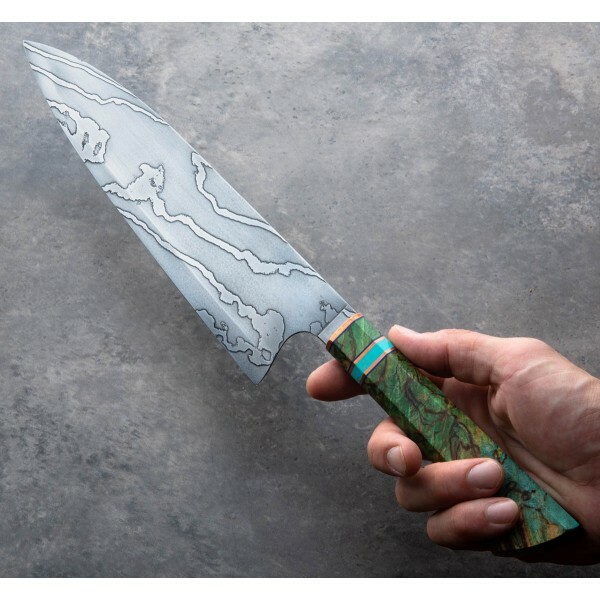 The spalted birch, stabilized in-house by Isaiah is paired with copper and turquoise to create the one-of-a-kind handle. 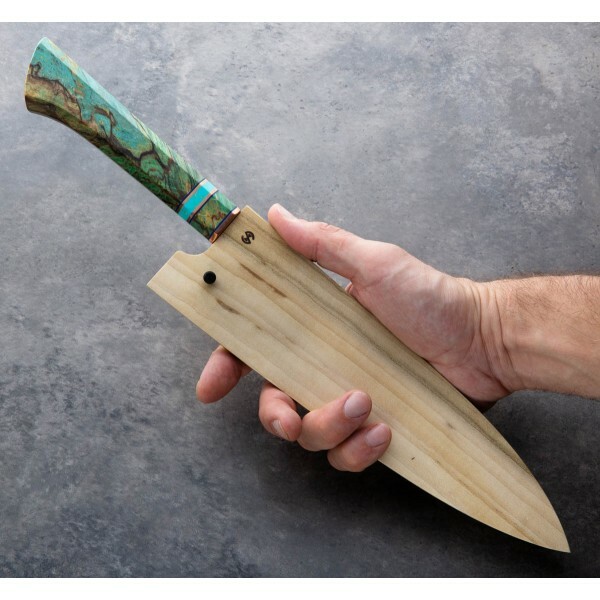 A poplar wood saya is included. 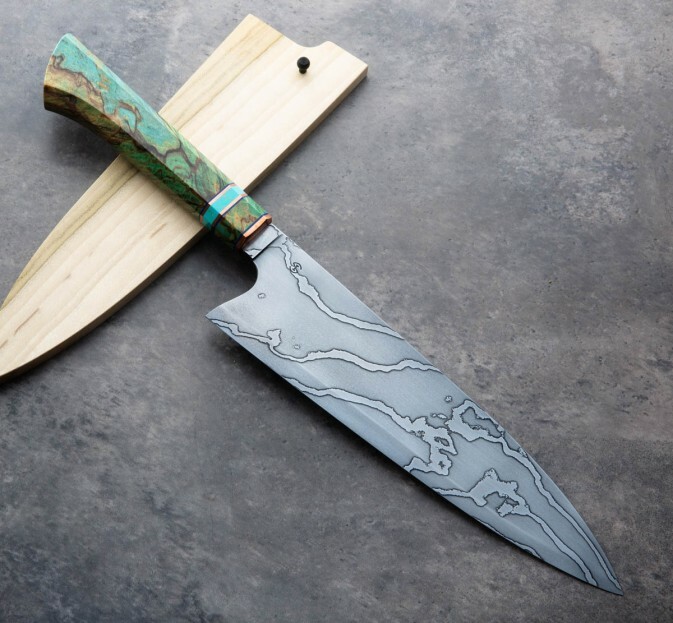 A talented designer, craftsman and bladesmith, Isaiah Schroeder of Isaiah Schroeder Knifeworks creates custom culinary tools at his shop in Madison, Wisconsin. 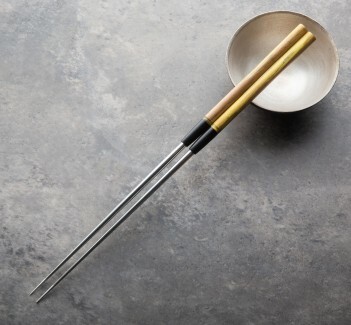 Isaiah has grown his craft over the years and followed his passion for kitchen wares by making his own damascus, his own sole-authorship chef knives and moribashi plating chopsticks, even stabilizing his favorite woods in-house. We're proud to represent Isaiah's work here on Eatingtools. Blade length: 240mm / 9.45".  Overall length: 410mm / 16.1" overall. Blade width at the choil: 2.5mm. 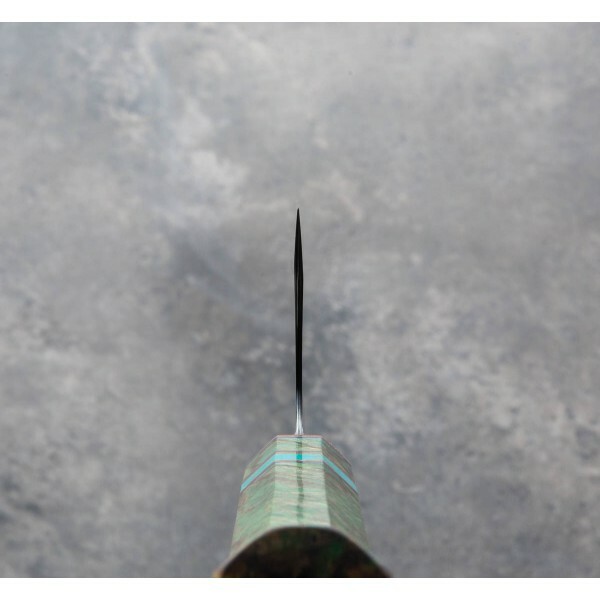 Blade width one inch from tip: 0.9mm. Blade height at heel: 63mm. Weight: 8.7oz / 246g. 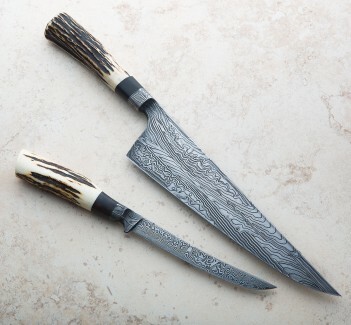 Blade: House-made damascus in W2 & 15N20 carbon steels. Handle: Spalted Birch stabilized in-house, with copper and turquoise. 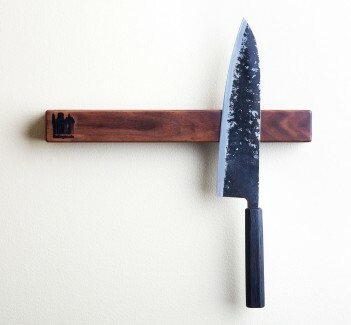 Saya: Poplar wood.